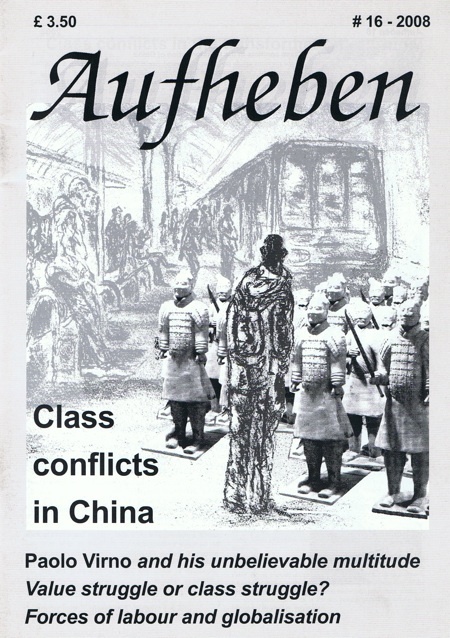 Aufheben Issue #16. Class conflicts in the transformation of China, The language of retreat: Paolo Virno’s A grammar of the multitude, Value struggle or class struggle?, Review: Forces of labour: Workers’ movements and globalisation since 1870 by Beverly J. Silver.